When the phone rings and someone calls to say they’re heartbroken and can’t imagine their life without the person who is gone, it’s my job to give them hope and to explain how the heart does heal in time. Today’s quote was inspired by a coaching call with a woman who said her heart was completely broken. It had been shattered and she couldn’t imagine how she could go on with such an empty heart. I explained to her that the heart fills up and depletes on a daily basis. 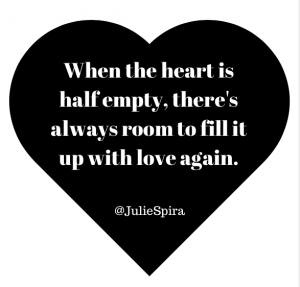 You see the heart can’t be completely empty, or you wouldn’t have the ability to love your children, family, and friends at all if this was the case. You wouldn’t even be able to breathe, but you still can. The heart can be overflowing with love and joy when you first meet someone and you’re in the honeymoon phase. It’s so exciting you feel like it’s about to burst. Although it feels that way, it will not be bursting. You will be in a state of euphoria and often it’s temporary, for even those we love with all of our hearts, we go through phases of questioning the relationship, phases of disappointment or resentment when our needs aren’t being met, and then bounce back when we are in a state of joy again. It’s like a wave. There’s an ebb and flow to the wave as it comes crashing into the shore, each time reaching a different point on the sand or rocks. When it comes to matters of the heart, all forms of logic are tossed out the window. The stage of first love, early love and the pitter-patter of the heart feelings are real and when they are experienced, there’s nothing better. So if you find that your relationship isn’t as fulfilling and that your heart is questioning it, it’s natural. Every day doesn’t have an overflowing heart, but it should have an appreciative heart. One that allows you to grow with an individual and to grow on your own. You see, people are falling in love over and over again with their partner. There are different types of love, whether it’s lust, friendship, companionship, romantic love, or a deep passion. All of these types of feelings do exist with the same person. If a relationship can’t move past the three week or three month mark, then you were really existing in the lust phase only. The heart is meant to last and move. You see the heart is meant to last and move. It beats. You breathe in and you breathe out. Sometimes you can’t imagine anyone else in your life but the person you love or loved so deeply. Other times you wonder how any one person can decide on how full your heart should be. That’s more realistic. The point here is when you’re unsure of your relationship or if your heart is hurting, know that it is temporary. The universe is like a vacuum. In time, the heart will fill up again. For some slowly, for others it can be rather quickly. To achieve the ultimate feeling of love, let the heart fill with your own personal joy to the point that anyone who joins you in this game of life is joining your already fully loved heart. Keep smiling as that will attract new people to you. Know that you are always loved, even when you’re not sure you’re feeling it. P.S. If you need some hand holding, find out how Irresistible Coaching can help you get back on the dating saddle. Julie Spira is America’s Top Online Dating Expert and Digital Matchmaker. She was an early adopter of Internet dating and has been coaching singles on finding love online for over two decades. For dating advice follow @JulieSpira on Twitter, Instagram, and Facebook. It?s been a fun summer at Cyber-Dating Expert Headquarters helping singles with their Irresistible online dating profiles, cheering them on when they happily retire them in favor of finding themselves in a committed relationship, and best of all, reading your online dating stories that you shared on Facebook and at CyberDatingExpert.com. Now that summer is almost over, it?s time to announce the winners of the Looking for Love Online summer promotion. In the category of worst date, our winner is Teresa Marroquin from Texas. Teresa will receive a complimentary Irresistible online dating profile and a 3-month membership to Match.com.? In her submission, Teresa?s online date flew from Philadelphia to visit her for four days in Texas. 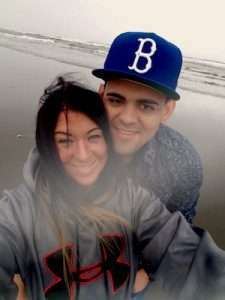 Find out why her date turned out to be a ?Gorilla Guido,? and wasn?t what she expected. In the category of funniest date, our winner is Carol McLeod Sanders from Alabama. ?Carol will receive a complimentary online dating profile critique and an autographed copy of The Perils of Cyber-Dating. Carol?s funniest date was with a man over 60 years older than her. All of those who entered the contest will receive a free email online dating profile critique. All of us at Cyber-Dating Expert thank you for participating and sharing your stories. If you?re truly ready to become irresistible and want to know the secrets to finding love online, let us know. With the change of seasons, many singles are joining online dating sites and are ready to find love. Welcome to our Irresistible Dating Coaching Programs. You’re one step close to finding a date or a mate and having your very own Irresistible Online Dating profile. We’re here to help you find your dream date while looking for love online. Irresistible Coaching plans are for both busy women and men who would like to be in a relationship. Select from one of our three popular plans and you’ll be one step closer to finding the man or woman of your dreams. Contact us for your free dating assessment. Already online? Get an online dating profile critique and makeover that will help you become a man magnet and attract more quality dates. Click here to get started. Complete brand new online dating profile, including a personal dating analysis, catchy screen name, a new bio/headline, and a profile guaranteed ramp up your dating life. Includes a private and personalized online dating search and tips on how to write an introduction email and reply. Click here to get started. Are you ready to put all ten toes in? Totally in love is our most comprehensive affordable package for busy singles. Includes all of the above, plus ongoing email support for 14-days, plus an autographed copy of the bestseller, The Perils of Cyber-Dating. This has become our most popular service. After all, everyone needs a little extra hand holding. Nervous about your upcoming date? Not sure what to wear? Need a list of first-date conversation starters? Then this plan is for you. Click here to get started. Need help taking your love life from online to offline? Not sure how to reply to email? Overwhelmed with the amount of matches, but not sure who to select? The Digital Matchmaker is our most comprehensive and personalized package for busy singles. You’ll have private coaching with online dating expert Julie Spira in her famous Online Dating BootCamp. Through emails, texts, and Skype interviews, we’ll select the best dates for you. Consider this your personal Wing Girl for your love life. Price available with private consultation. Here’s what they’re saying about Julie Spira’s IRRESISTIBLE Coaching. FOR IMMEDIATE RELEASE – June 11, 2010. Los Angeles, CA Cyber-Dating Expert and bestselling author Julie Spira will be a featured guest on Access to the Boys Club on KLAA – AM – 830, Anaheim, CA on June 13, 2010. Access to the Boys Club, a weekly radio show, ?focuses on how to have a healthy and faithful relationship. ?The program will feature relationship advice and dating tips for women to keep a man interested in their relationship. You’ll hear dating dos and don’ts for couples as well as for singles who are looking for a serious long-term relationship or marriage. The show, hosted by Mark Verge, Ronald Curtis Ebanks, and Jodi Laiblin will airs at 10:00am/pacific time. The call in number is 877-883-0830. Spira’s segment will air at 10:10am/pacific time. 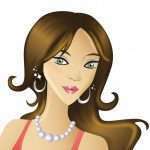 Spira, a frequent guest in the media about online dating and relationships, has appeared on ABC, CBS, FOX, CNET, E! Entertainment, KTLA, WPIX, Smart Money, Woman’s Day, Cosmo Radio, Glamour, Men’s Health, New York Times, and the?Los Angeles Times. Her expert advice can be found on eHarmony Advice, JDate, Match.com, Your Tango, Huffington Post, and Zoosk. Spira hosts the weekly radio show, Ask the Cyber-Dating Expert.